As the episode stars, Rei, Ami, Luna and Mokoto are waiting in the karaoke room for Usagi who is, once again, late. 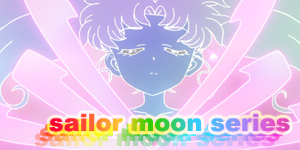 Ami tells them that she's worried because Usagi isn't normally this late. Mokoto stands up and tells them that she'll go look for her but Rei tells her that she should mind her own business. 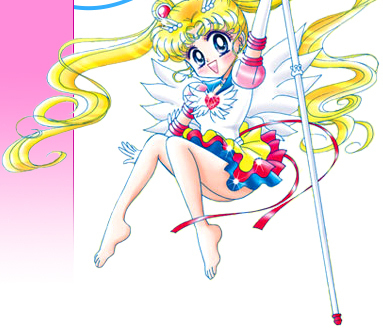 Suddenly, Usagi rushes in and tells them all why she had asked them to meet: to help her enter a contest run by Minako! Turns out the prize is a signed Nako Nako (Minako's cute mascot) stuffed toy and to win you have to dress up as Nako Nako and perform the best impersonation of the character. Unfortunately, Usagi has done the wrong homework for school and has to redo it all over again so she has no time to make her costume! She asks them all to help her finish her work. Mokoto seems fine with it an tells her she'll help. 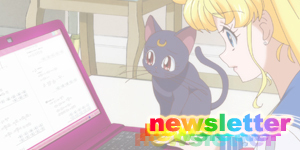 Rei sees this and announces that this is lazy of Usagi and that she should do her own work. 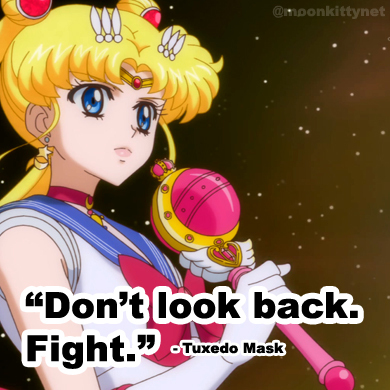 Usagi, seeing a fight about to begin, promises them both that she'll do it herself and apologises to them all. In the Dark Kingdom, Jadeite has decided to seek out the mysterious Zoicite for help in killing Sailor Moon. 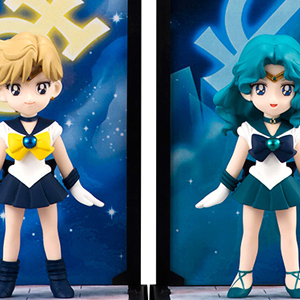 Seeing Jadeite beg, Zoicite agrees and smiles. Elsewhere, Queen Beryl and Nephrite discuss Jadeite. Nephrite can't stand him but Queen Beryl simply tells him that even though he is foolish, he is foolishly trying to please her. Later that day, Mokoto is on her way to Rei's temple. 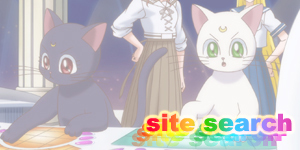 She had promised to place a wish tag in the temple grounds to help Usagi win the contest. Mokoto is hesitant as she has decided that she doesn't like Rei. As she enters the grounds, she overhears Rei yelling at someone on her phone. She tells them that it's too late for her and her father to reconcile and that she doesn't want to be his daughter any more. Mokoto says hello but Rei quickly accuses her of eavesdropping, they fight and then Mokoto leaves despite still having Usagi's wish tag. That night, Usagi's mother, Ikuko and Shingo, her brother become concerned over Usagi's sudden efforts to finish her homework. 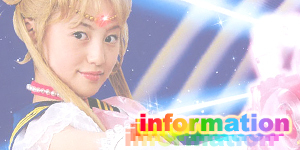 Shingo suggests that Usagi may under all the pressure. Funnily enough, when Ikuko goes upstairs to check on Usagi she finds her dressed up in her Nako Nako costume and screaming cute horse noises. Ikuko starts crying and tells Usagi that she won't have to study any more. Hearing this, Usagi makes more noises. Ikuko screams hysterically. The next day, Mokoto returns to Rei's temple to deliver the wish tag but sees Rei being pushed into a car by strangers! Mokoto runs after the car and finds Rei in a hotel room no longer in her shrine maiden clothes but a very formal and very lacey getup. Rei is surprised that Mokoto cared so much to come and rescue her and explains that her father is a politician and that shen her mother died he changed and left her at the temple to focus on his career. Mokoto sees that Rei obviously doesn't want to be here and together they push her father's assistant out of the room and plan their escape which involves ordering room service, Mokoto switching places with the service woman and Rei hiding in the food tray as Mokoto pushes it down the hallway, past Rei's father's men and eventually into the car park. As they stop, Mokoto drops her bag which spills a lot of cute things including a Nako Nako toy. Rei teases her about liking cute things even though she portrays herself as masculine and they both laugh and decide to go cheer on Usagi in the competition. At that very moment though, Zoicite promises Jadeite that he will send his spirit to where Sailor Moon is. He begins playing his piano which knocks everyone in the auditorium out except for Usagi who is shocked as Jadeite appears before her and attacks! 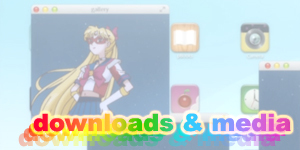 She transforms into Sailor Moon but Jadeite is too strong for her! 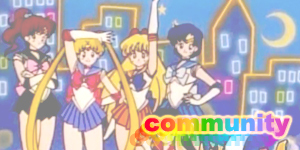 Luckily Sailor Jupiter and Sailor Mars appear and defend her. 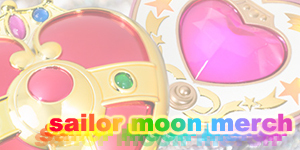 Together, Sailor Mars uses her Akuryou Taisan attack for the first time in real time and Sailor Jupiter uses a brand new attack, Flower Hurricane! Unfortunately, Jadeite absorbs both attacks and almost blows them away! Luckily for them he loses his focus and his spirit returns to Zoicite's room. Outside, Minako Aino arrives in her car. Suddenly, Zoicite's music begins playing on the radio and Zoicite appears outside the car, reaching for her! Minako yells at the driver to turn off the radio. As he does so, Zoicite disappears. Because of this, Minako cancels her appearance but the contest goes ahead! Usagi though, is fast asleep, exhausted from the studying so Rei and Mokoto take her place. Unexpectedly they both lose and promise not to tell anyone about their experience. That night as Usagi sleeps in her bed, Luna worries that if the Sailor Soldiers don't awaken as true soldiers then they won't have the power to defeat the enemy. Not sure if it counts as a "character", but Nako Nako made it's first appearance in this episode. Sailor Jupiter used a brand new attack in this episode, Flower Hurricane! Not only did she get this attack only a few episodes after she appeared but it's also the first new attack to be entirely in real time with no stock footage sequence like the other attacks.